Veya kitabı 3600 Kobo Super Points ile alın! Brett Forster has spent his life running from trouble. His traumatic past has left deep scars that make it hard for him to trust anyone. He isn’t looking for love, but when Hannah Williams lands in his arms, he isn’t letting go. ​Hannah is an artist and co-owns a successful event management company. For the first time in her life, the things she’s always dreamed about are coming true. When she meets Brett, she knows she has to be careful. Falling for a cattle rancher from Montana is the worst thing she could do—even if he’s the best thing that’s ever happened to her. 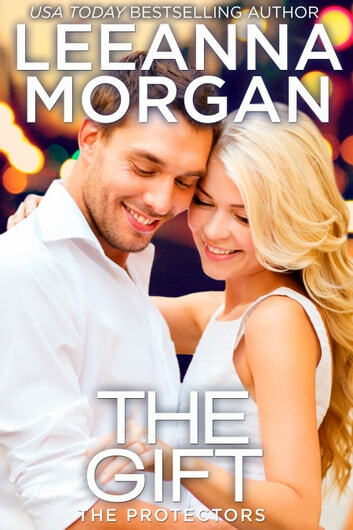 ​The Gift is the sixth book in The Protectors Series and can easily be read as a stand-alone. All of Leeanna's series are linked. If you find a character you like, they could be in another novel! Leeann does it again! Her books give her readers insight into her characters deepest secrets, fears and desires. This book is no exception. Brett and Hannah both tragic pats which leave them wary of relationships and commitment. But close proximity and a dangerous situation bring down barriers, allowing them to see a future together. I loved His book!